"Plan of Clinton Co., N.Y."
from Atlas of Clinton Co., New York : from actual surveys / by and under the direction of F.W. Beers, assisted by Geo. P. Sanford & others. 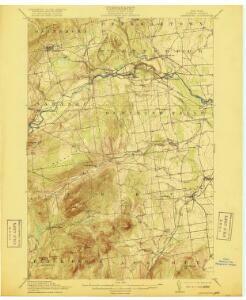 (This Topographical map of the Province of Lower Canada. Sheet) E.